Most of the soaps on the market today contain a myriad of toxic chemicals which wreak havoc on our health. Putting chemicals on your skin may actually be worse than eating them! That’s because chemicals on the skin are absorbed into the bloodstream without any of the filtering that would happen if the toxins went through the digestive system. With unprecedented levels of exposure to such toxins, we don’t yet know the cumulative effects of long-term use. Shockingly, the liquid soaps on the market that are marked as ‘anti-bacterial’ may actually encourage hard-to-kill super bugs. Many of them contain a synthetic antibacterial ingredient called triclosan – a chemical registered as a pesticide with the EPA. Many natural soaps don’t lather well – making for a decidedly bubble-free bubble bath. This is because natural soaps usually shun the use of Sodium Lauryl Sulfate (SLS), a chemical whose primary function is to foam up. There are nearly 16,000 studies in the PubMed science library relating to the toxicity of Sodium Lauryl Sulfate (SLS). Animals exposed to this common soap ingredient – found in 90% of personal care products – experience eye damage, depression, labored breathing, diarrhea, severe skin irritation and even death. Castile soap is gentle on the environment as it is free of artificial foaming agents, colors, fragrances, chemical detergents, petrochemicals and toxic anti-bacterial agents. The natural products used in the soap’s manufacture also mean that it is biodegradable. Aside from its super natural formulation, one of the biggest reasons to use castile soap is due to its versatility! with a wash made from castile soap, honey and natural oils. Coconut Milk Shampoo – by mixing coconut milk with castile soap you’ll be left with a creamy, lathering shampoo which will nourish and cleanse your hair and scalp. Finish with an apple cider vinegar hair rinse to smooth, detangle and condition. Unisex Shaving Cream – both men and women can enjoy a close, smooth shave by adding raw honey (great for acne prone skin), olive or avocado oil and castile soap. Soap Toothpaste – there are a ton of reasons to choose a homemade toothpaste over the store-bought variety. Although a recipe using castile is technically a tooth soap rather than a paste, it’s both refreshing and effective. Use unscented or peppermint liquid castile soap, melted coconut oil, Xylitol or Stevia and essential oils of your choice. Removing Pesticides from Fruit and Vegetables – if you can’t buy all organic fruit and veggies, then make sure to give them a good scrub to remove pesticide residues from the outer layers. Mix a little castile soap in water and gently rub this over your fresh produce before rinsing thoroughly. Window Wash - Castile soap in water is a must! It acts as an emulsifier, binding the dirt and water together. Follow with white vinegar to really make the glass sparkle. Non-Toxic Toilet Cleaner – add castile, baking soda and essential oils of your choice to the bowl and scrub. This non-toxic and natural toilet bowl cleaner really works! The castile soap gets things shiny and clean, the baking soda scrubs without scratching, and the antimicrobial essential oils disinfect and leave a pleasant scent. Natural Dog Shampoo – add coconut oil and ground oatmeal to your castile to harness the power of clean for this homemade shampoo won’t strip the natural oils from your dog’s skin, but it will remove odors and leave him with a glossy and healthy coat. White Oil Natural Pesticide – ditch the dangerous garden pesticides and go organic with this simple but effective pesticide spray made with just two ingredients – castile soap and oil. It is especially effective on soft body insects like aphids and mites. 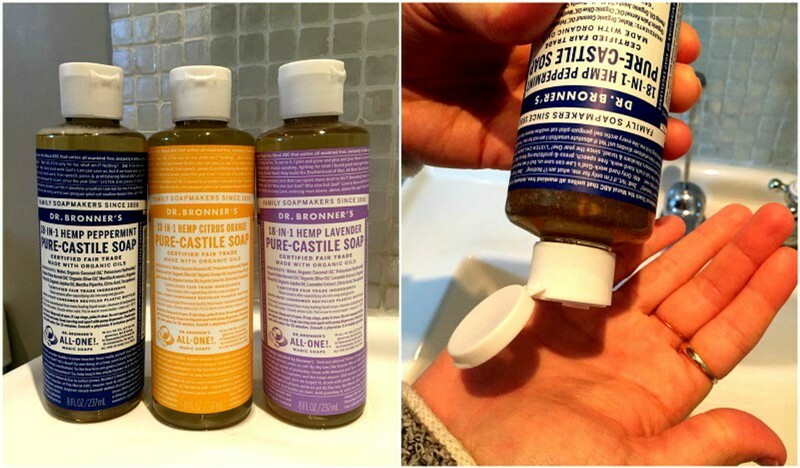 Where To Buy Castile Soap - Dr. Bronner’s is widely regarded as the best brand of castile soap. 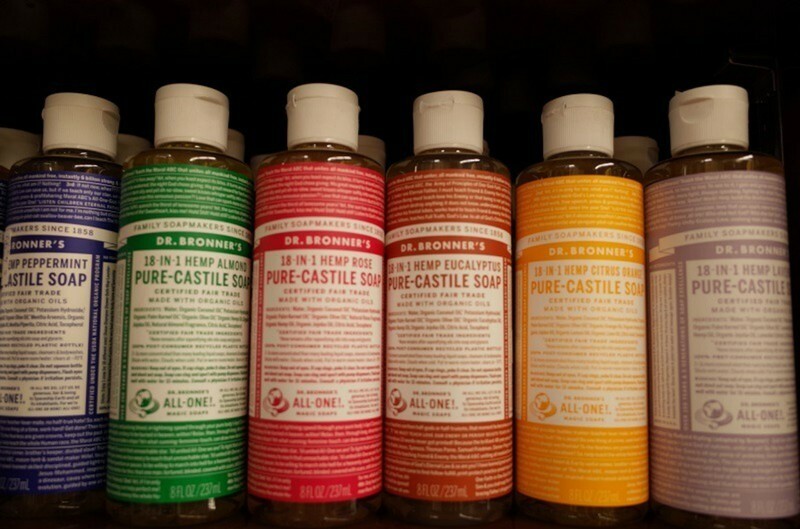 KISST Organics carries a full line of Dr. Bronner's Castile soaps in both liquid and bar form. Purchase on-line at www.kisstorganics.com or at our retail store in Sidney, NE.